We have puppies available from this world class litter! Our Rottweiler puppies will have their tails docked, 1st vaccinations, de-worming, microchip and vet check prior to leaving us at 8 weeks old. Once you place a deposit for one of our Rottweiler puppies you will be kept up to date on their progress as they grow! Puppy selection will begin at about 6 weeks old at that time we will email you a questionnaire asking you about your rottweiler experience, members in your family including other pets and your families activity level. This will aide us in helping you choose the puppy that will become the next member of your family! Deposits are non-refundable but can always be forwarded to any future litter as long as you let us know before the puppies are 6 weeks old. 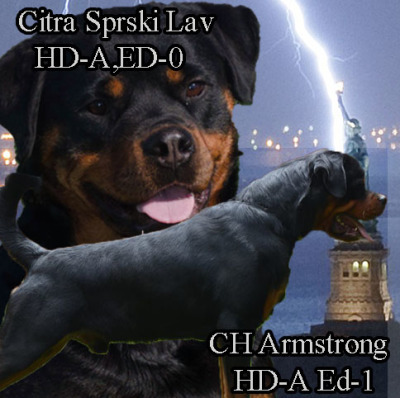 Click on the Button below to leave a deposit on one of our Rottweiler puppies.